Creations presents contemporary decorative mosaics from around the world.. 53 artists from 20 countries share 124 unique mosaic works. My mosaic "Red Poppy" was intended as a study for working with colors, color shades,, light and shadow. My goal was to portray the luminous energy of this seemingly fragile flower. Working with all the shades of beautiful red glass has brought me great pleasure. Dark eyes - telling stories of grief, fear and pain. The photographs of injured orangutans, deprived of their habitat on the Southeast Asian island of Borneo, illustrate that these feelings are not solely reserved for humans. 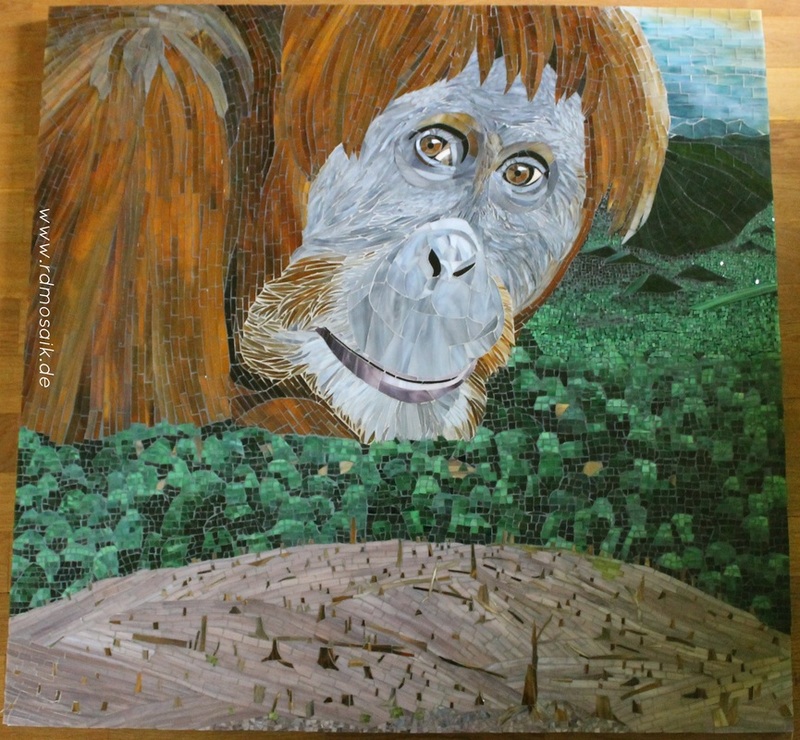 My mosaic "Deforestation" is to show the terrible consequences unleashed by the destruction of the rainforests in Borneo, affecting the creatures we share this planet with, the environment and ultimately ourselves. Currently more than one million hectares of rainforest are cleared on the island every year. This is more than half the acreage of ​​the federal state of Rhineland-Palatinate in Germany. The forest is cleared in order to grow monocultures for the production of palm oil or paper and due to extensive illegal logging of tropical timber. "Deforestation" is more than a memento, it is a call for more awareness in our everyday life. The conscious decision against palm oil products and timber of unknown origin can help to reduce the suffering of the orangutans and maintain an ecosystem with hundreds of other, unique plant and animal species. My work "rainforest" is featured in the latest edition of the German art magazine "mundus". 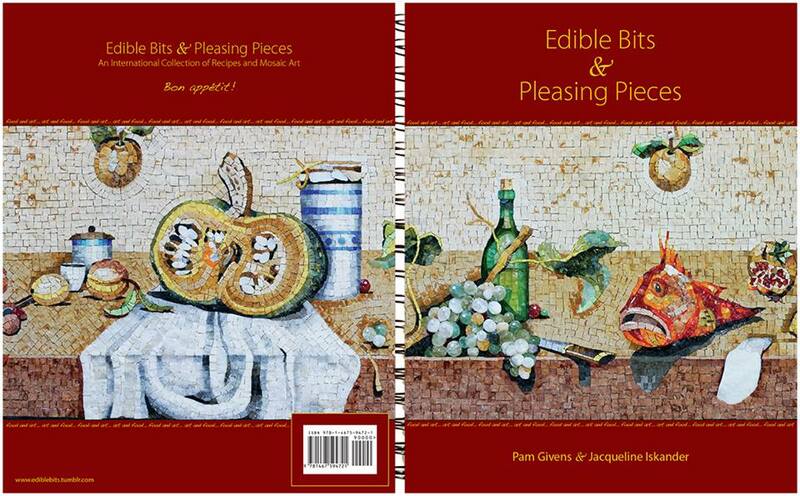 Besides, there are some interesting and informative articles of mosaic art from antiquity to the present.